We are very thankful that Nick Loos, a gifted musician and educator, has accepted the offer to serve as Chapel Choir Director starting this school year. You will soon see him directing the Choir at our 9:30 a.m. worship service. Nick cherishes this opportunity to lead our Chapel Choir. You may recognize Nick as he has sung in several cantatas with the Chancel Choir as a guest singer. Please welcome Nick when you see him! The 44th Annual Chapel Choir Tour will take place March 28-April 4, DESTINATION - PENSACOLA. 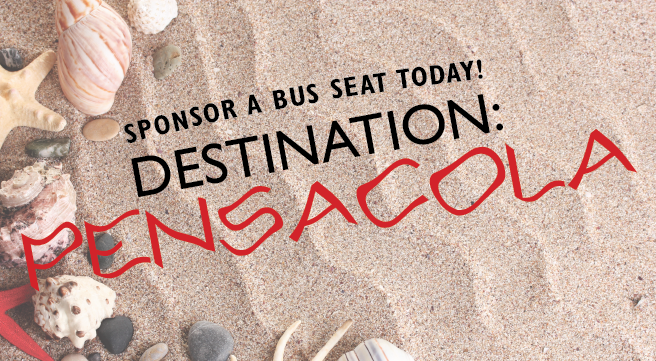 You can help choir members cover some tour expenses by Sponsoring a Bus Seat for $25. The cost of transportation is one of the largest line items in the tour budget, so offsetting some of the cost through seat sponsorships helps reduce the individual tour fee for choir members.